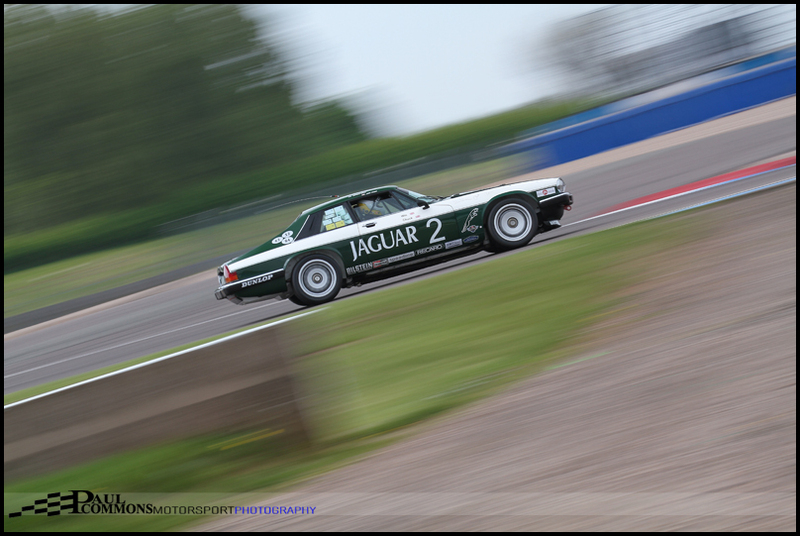 Having decided against the long trip up north for the Pirelli International rally, a visit to both the Donington Historic Festival and Rockingham’s round of the British GT championship was in order for the May Day bank holiday weekend. 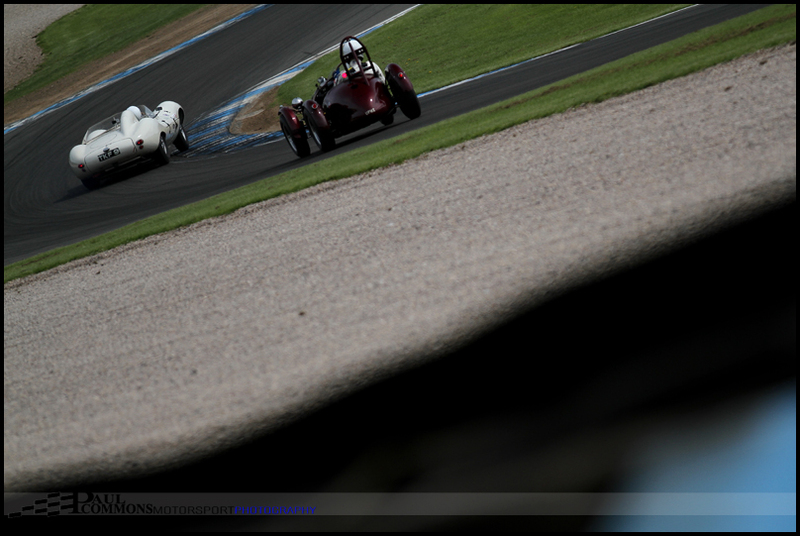 The Donington Historic Festival runs over three days, however it was the Sunday schedule that caught my eye, in part due to the last race of the day being the FIA Masters Historic Sportscar race. A grid full of classic 60’s and 70’s Le Mans racers made it worth the trip alone. Arriving at the circuit early gave us plenty of time to look around the multi million pound paddock before heading out around the track. With the sun starting to appear from behind the clouds It looked like being a great day to show off these stunning machines. There were some very well turned out cars on display in the HTCC Touring car race …..
….. however the first event that particularly caught my attention was the RAC Woodcote Trophy for the pre-56 Sportscars. The iconic fin of the D type Jaguar makes it one of my favourite Le Mans winners from the past and this 60 minute event contained a couple of well driven examples. Regular historic pilot Gary Pearson was actually entered in 2 of them which paid dividends when the #7 went out early on. Fortunately he was able to get back to the pits, take over from Carlos Monteverde in the white #5 and claim second spot on the podium! However this formidable pairing could not keep up with the very fast Cooper T38 of Fred Wakeman and Patrick Blakeney-Edwards who claimed the victory by more than 12 seconds. Some of the best sounding cars of the day were the 2 litre Sportscars in the HSCC Martini Trophy where ex BTCC racer Ian Flux put in a stonking drive from the back of the grid to take a magnificent victory. Driving the Osella PA3 he didn’t have it all his own way as once getting to the front he was re-passed by the similarly rapid Lola T210 of David Gathercole. It was looking difficult to pick the eventual winner but unfortunately Gathercole pushed slightly too hard through McLean’s on lap 19, losing the back end and becoming beached in the unforgiving Donington gravel. 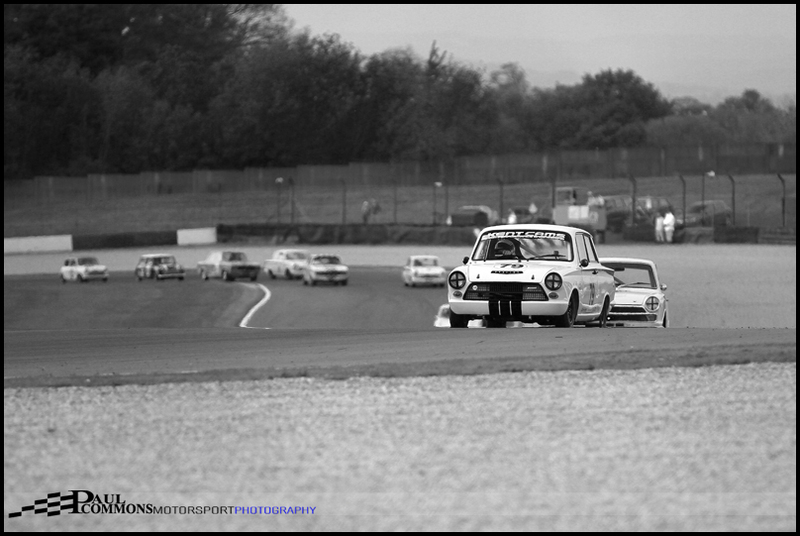 The Pre-66 Under 2 litre Touring Car race was yet another highlight with a field full of MK1 Cortina’s, BMW T1800’s, Minis and even the odd Alfa. It was in fact the Alfa Sprint GTA of Andrew and Max Banks who would eventually get the better of Jackie Oliver and Richard Shaw’s T1800. The ex Le Mans winner did take an early lead but could not keep the rapid Alfa crew behind for long. It was a pleasure to watch these machines being man handled around the track; the way they are thrown into the corners with masses of opposite lock is a sight not often seen in modern-day racing. 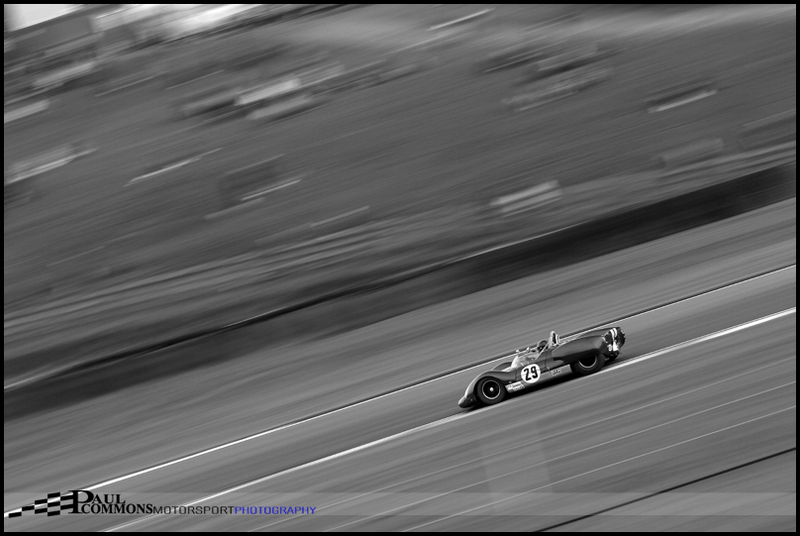 With the light starting to fade, it was time for the FIA Masters Historic Sportscar race. I absolutely love the fact that the main event was held at this time of day as there is just something about watching racing in the late evening sunshine. The throaty roar as the green flag was dropped was phenomenal, bettered only by the sound of a full field of endurance legends, headed up by no less than 7 Lola T70’s, disappearing down the infamous Craner Curves; Oh to have witnessed these at Le Mans in period. In actual fact the race didn’t turn out to be that close as ex British GT racer Oliver Bryant showed his class by taking victory by more than a lap in the #14 T70. But who cares! The sight of these 5 Litre Chevy engined powerhouses lapping traffic around the undulating tarmac of Leicestershire’s famous circuit was just fantastic. My ears were still ringing by the time I was back at base with a beer in hand. This had been one of the best days racing in a long time. 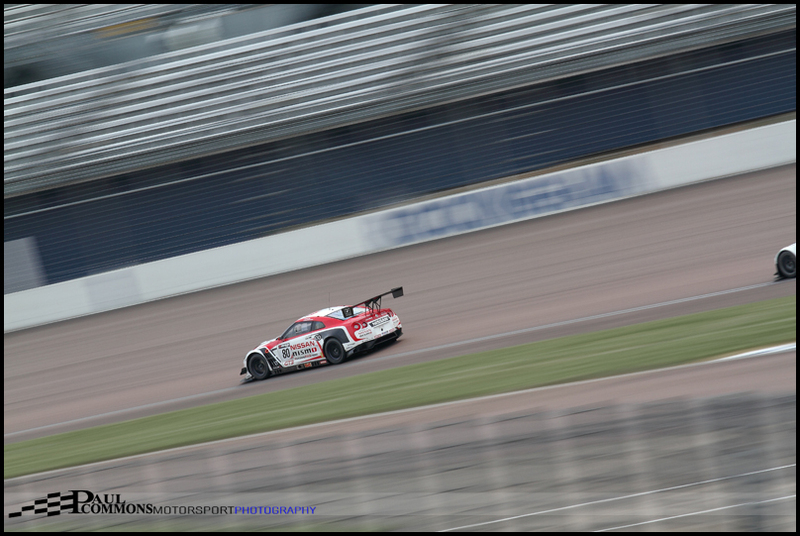 A day of modern racing was in order on Bank Holiday Monday with my first ever trip to Rockingham Motor Speedway. And with the circuit little over an hour away I can’t believe I had never visited before. The sheer size of the 52,000 seater American Style oval becomes apparent as you arrive; more like a football stadium than a race track. But what I like most about the place is that it was obviously put together with the fan in mind as the access is second to none. 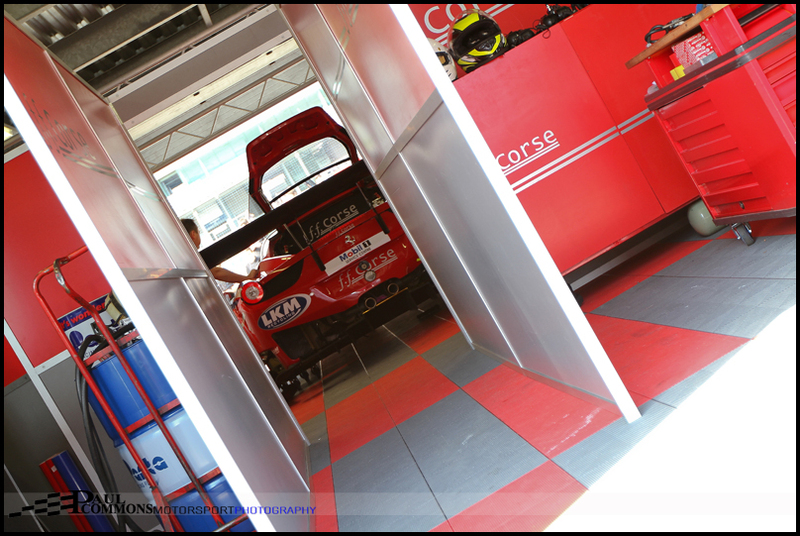 Silverstone could definitely do with a Rockingham style underground tunnel and being able to watch a race from the top of the pit garages is just great; an experience I had only previously witnessed at Spa. 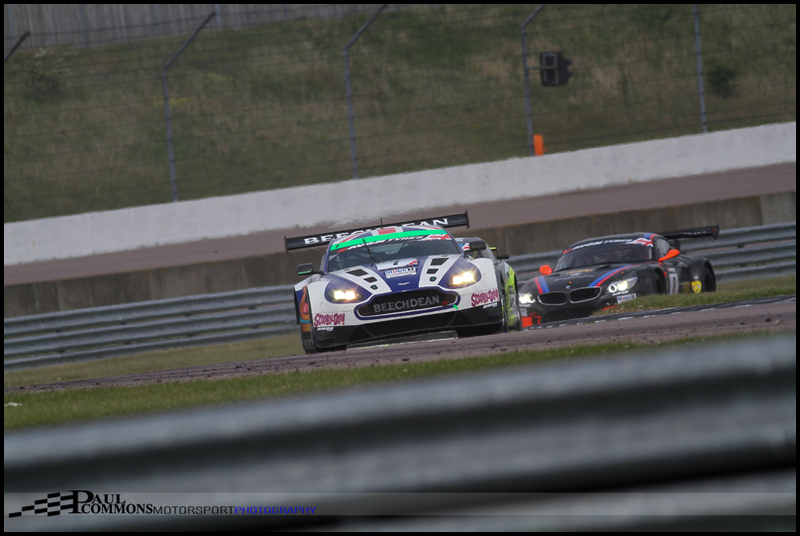 In fact the only negative of the day was the lack of interest in the support races with the once formidable British F3 championship attracting just 7 entries and disappointingly only 6 cars making the start of the 1 hour Aston Martin GT4 event! However, the British GT race was the main reason for being there and with 29 cars on the grid it promised to be 2 hours to remember. The spacious pit walk prior to the race allowed a closer look at both the cars and drivers as the pre-race excitement started to build. 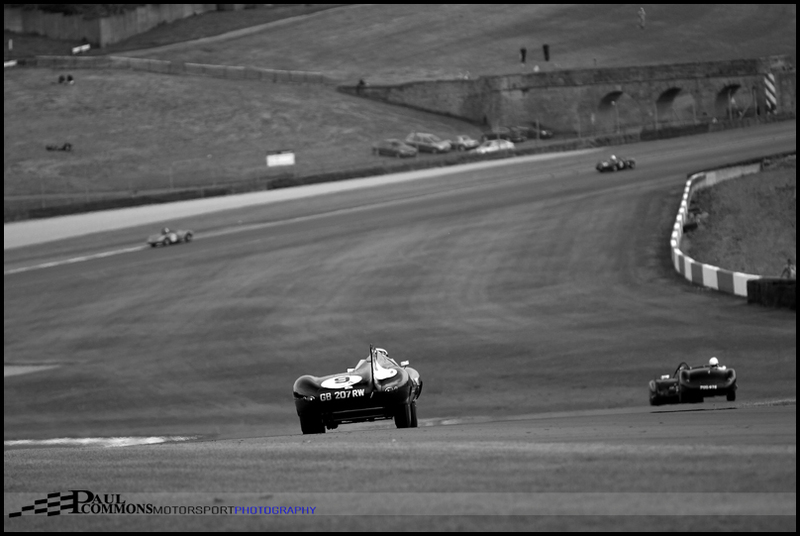 Marco Attard and Works BMW driver Alexander Sims had carried on their Oulton form by taking a comfortable pole position in the Ecurie Ecosse Z4. They would start the race as clear favourites for victory and Marco Attard was able to get away in the lead from the off. Derek Johnston in a similar Z4 would soon get by Mark Patterson’s United Autosports Audi R8 to take second with 2013 champion Andrew Howard following suit in the Aston. Sir Chris Hoy had made a wild start to the race by ‘out-braking’ himself heading into Deene on the first lap and being lucky to get away with a brush with the wall. His pace is there for all to see however, and I am pretty sure it won’t be long before he is running much closer to the front. Inevitably it wasn’t long before a safety car was required to recover Tania Mann’s Ginetta. Much of Attard’s early effort to build a lead had therefore been negated as the race returned to green flag conditions. Soon after the pit window opened and the majority of the contenders for victory pitted with the Ecurie Ecosse BMW’s lead not being of the necessary margin to cope with the Oulton Park success penalty. Sims would therefore rejoin in fifth behind, the yet to pit, Gary Eastwood’s Ferrari, the similar machine of Richard Lyons and the two Triple 8 Z4’s of Luke Hines and Joe Osborne. Eastwood staying out in the FF Corse Ferrari turned out to be either a master stroke or, more likely, a lucky break as a second safety car was required to remove John Gaw’s Aston and Morten Don’s Ginetta. This allowed the Ferrari crew to get Rob Barff strapped in and leave pit road with a 40 second lead over the rest of the field. Even a drive through for exiting the pit lane while the red light was showing could not stop them taking an 18 second victory. Behind, Alexander Sims was showing everyone why he was not only the 2008 McLaren Autosport BRDC award winner but also why he is now a factory BMW driver. He was soon up to second with the pass to take this position being absolutely breathtaking; taking advantage of a backmarker and coming from way back to slip down the inside of Lyons on the entry to Deene. A pleasure to watch from my now grandstand vantage point. Other than a close battle between the triple 888 Z4’s, which saw Joe Osborne take a trip across the gravel, not a lot else happened throughout the remaining 40 minutes of the race. This left Richard Lyons to take third place on the road only to be later handed a ten second penalty for driving standards when Pasin Lathouras was at the wheel. This would drop them to 7th but promote Luke Hines and Derek Johnston to the final step of the podium. 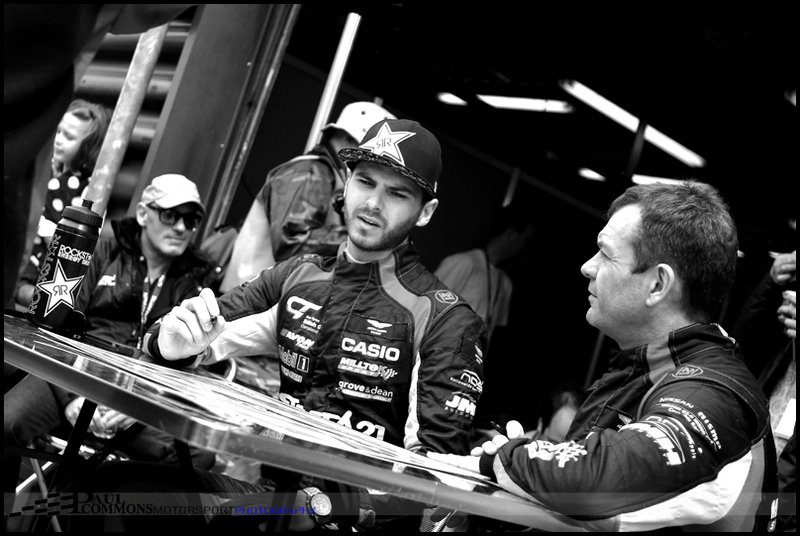 Behind them Tom Onslow-Cole put in a stellar performance to take 4th in the Strata 21 Aston ahead of the similar machine of Andrew Howard and Jonny Adam. Adam doing a great job in a damaged car. 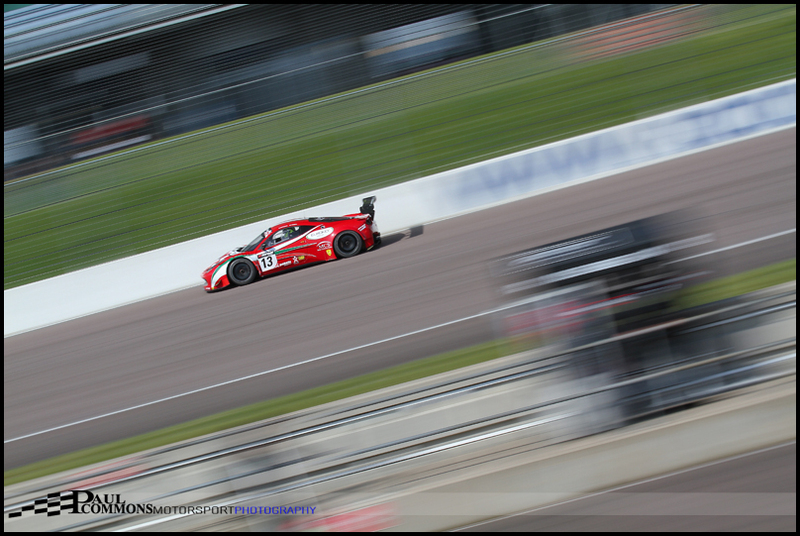 Having started on the back row, and being given an early drive through for overtaking under yellow flags, John Dhillon and Aaron Scott put in a great a drive to claim 8th overall in the second AF Corse Ferrari 458. 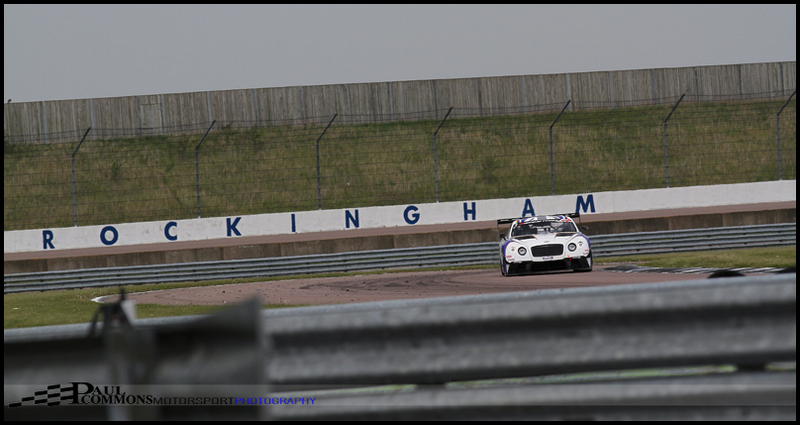 The all new Generation Racing Bentley of Steve Tandy and James Appleby struggled at Rockingham and ended up a lap down in 14th place. It is however great to see this huge car in British GT and hopefully it will be nearer the sharper end of the grid as the season progresses. 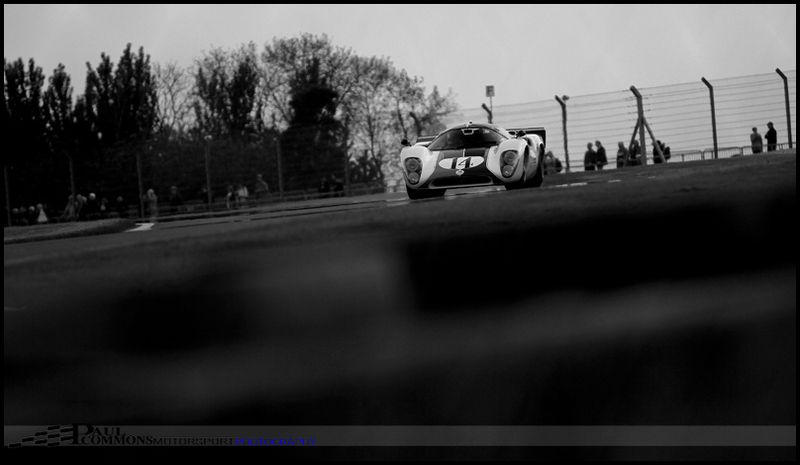 Next up it is back to Silverstone for the Blancpain Endurance Series. I will be cheering on the very British Works Bentleys who will be looking to build on a strong performance at the Monza season opener.